L.A.C.E.S. and the Ethiopian Community Development Council hosted a World Refugee Soccer Tournament Sunday, June 11 in honor of World Refugee Day. 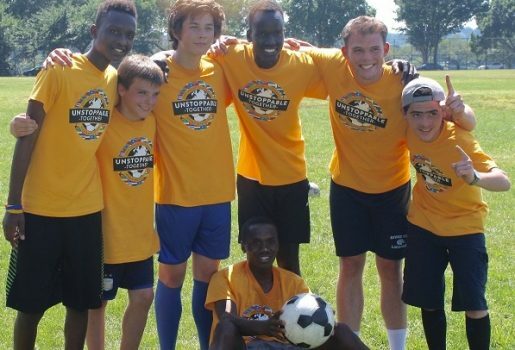 Five teams, comprised of refugees and community members, competed in five small sided games then faced off in a semi-final and championship match. Refugees participating in the tournament came from Ethiopia, the Democratic Republic of Congo, El Salvador, Syria, Colombia and Sudan, while community members live in Washington D.C., Northern Virginia and Maryland. Each team received matching shirts while the winning team was awarded tickets to attend a D.C. United soccer game together of their choosing. Without knowing one another beforehand and despite cultural differences, teams were able to come together to compete in the spirit of soccer. World Refugee Day is internationally recognized and celebrated annually on June 20th. The holiday was adopted by the U.N. General Assembly in 2000 in an effort to acknowledge the plight of refugees and encourage governments to work together to address refugee needs. According to UNHCR, there are over 21.3 million refugees in the world, while 86% of those refugees are hosted by developing countries. Moreover, less than 1% of refugees are ever resettled. Per the State Department Bureau of Population, Refugees and Migration, nearly 85,000 refugees entered the U.S. in fiscal year 2016 and the number dwindling to 46,000 thus far in fiscal year 2017. 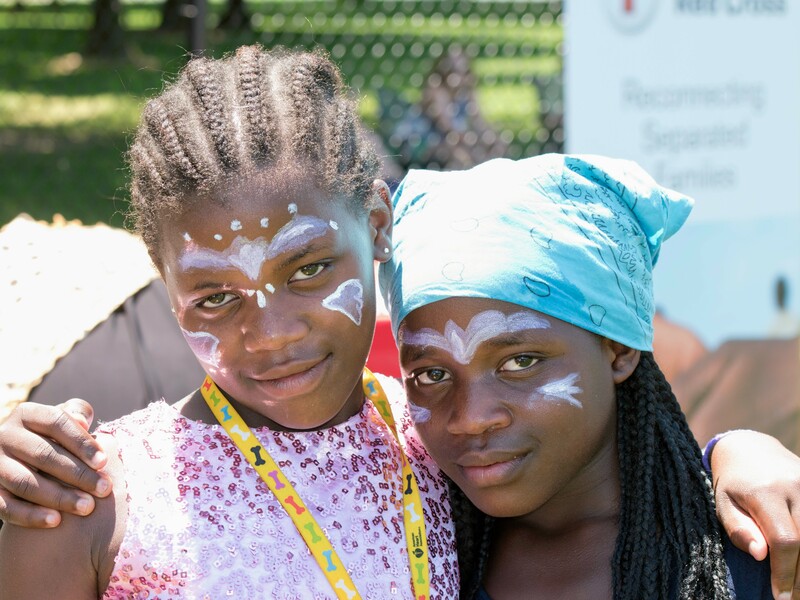 In addition to the soccer tournament, families and spectators were invited to participate in face painting and crafts. Alongside one another, community members and refugees participated in advocating on behalf of refugees by writing postcards to their government representatives. With support from Giant Foods, Capital City Cheesecake, Middle Eastern Cuisine and other sponsors, food and beverages were provided to players and spectators. Overall the tournament was a success! Albeit being strangers, team camaraderie quickly developed and new friendships made. L.A.C.E.S. enjoyed providing a chance for refugee families and the larger community to come together in commemoration of such an important day. 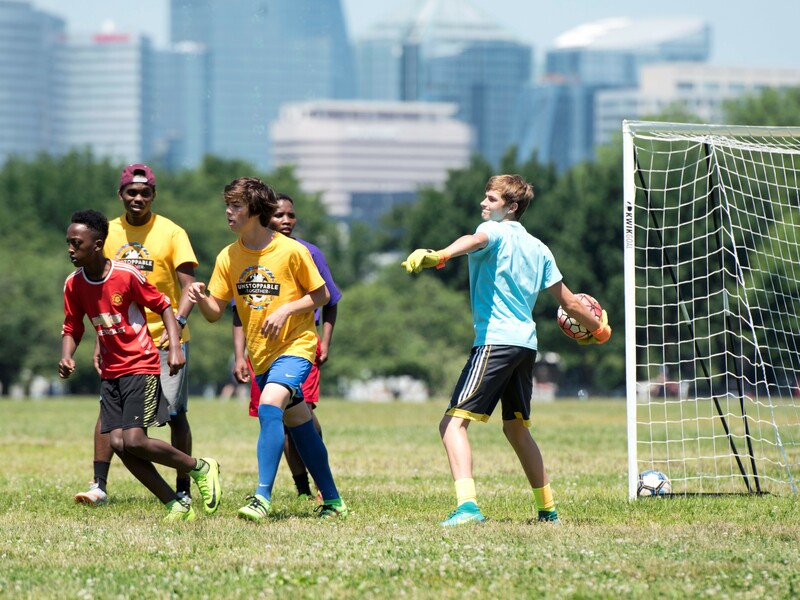 The soccer tournament demonstrated the power of sports to cross language, social, economic and cultural barriers and can be used as a tool for integration and acceptance. If you would like to participate in writing to your state representatives and advocate for refugees, please email us at info@laces.org.